Additional Info: The plant is indigenous to Sri Lanka, Indian and other tropical areas. The oil produced from it is applied in aromatherapy. Elements Applied: Volatile oil and herb are applied in herbal medicine. Active Components: Volatile oil, which is rich in the agent named citral or citrol. The total concentration of this substance there is 70-85 percent and more. To extract the volatile oil the fresh herb is distilled. Used For: The remedy stimulates the organism, relieves spasms and induces perspiration. The oil is particularly used in treating meteorism and boosting metabolic rates. If applied for fevers the herb is combined with cinnamon, sugar, and ginger. Leaf decoction or tea is applied for inducing perspiration in case of fevers. To regulate monthly periods, treat dysmenorrhoea accompanied with neuralgia and congestion, as well as to cure dropsy, the herb is mixed with black pepper. The herb is used to prevent diarrhea and vomiting, as it acts positively on the bowel walls. To reduce catarrh, fever, flatulence and colic, the leaf infusion is combined with syrup, dried ginger, black pepper and pudina. 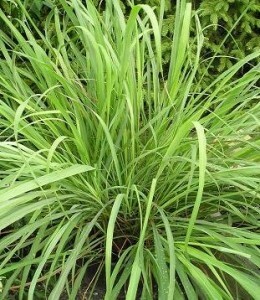 Lemon grass oil is applied to relieve flatulence, stomach pains and intestine cramps, especially associated with colic. It is applied in cholera to reduce excessive vomiting, and make the organism persistent. The dose applied is 3-6 drops of oil aided by sugar or in form of emulsion. To cure pains associated with sprains, neuralgia, recurrent rheumatism, lumbago, and so on, one part of lemongrass oil is combined with one part of coconut oil. Applied topically as a liniment or embrocation. Preparation and Intake: The remedy is applied in form of infusion (1:5), oil, powder, and leaf decoction (4 ounces for 1 pint of water, boiled up).